Medicare International Russia Health Insurance. Medicare International is an insurance provider and part of SBJ Group. 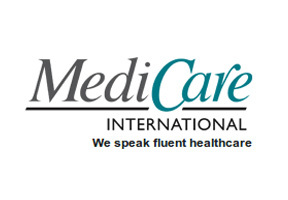 Medicare International was established in the early 1980's and provides high quality medical insurance plans to expatriates all around the world. With over 25 years of experience Medicare International prides itself on providing one of the best health insurance policies in the industry. Russia medical insurance plans from Medicare are able to provide most extensive levels of cover, thus insuring its clients the security and protection under their Medicare health insurance plan. If you would like to get more information about Medicare in Russia please fill in the query form at the top of this page. Alternatively you may contact us in order to seek expert advice about Medicare in the Russian Federation directly from our knowledgeable Russia Health Insurance consultants.